The three-year-old son of an artisanal fisherman presented oceans and fisheries campaigner for Greenpeace Spain, Celia Ojeda Martinez, with a drawing called: ‘Celia: captain of the ocean.’ The boy explained in Galician – a regional language in Northwest Spain – that he gave Celia the drawing because she was working with his dad and she wanted them to have fish. Moments like this – with warm, welcoming and positive energy — don’t happen very often in the midst of battles to shift gears in policy directions. But these moments stood out during a four-year effort to reshape European fishing policies after decades of overexploitation and incentives that favored a minority of large-scale fishing tycoons, pushing small-scale fishers out of business. “Often Greenpeace campaigns are about stopping things and fighting with adversaries, whereas this positive approach of working together, where we were welcomed wholeheartedly to ports throughout Europe, was very rewarding,” says Nina Thuellen, Greenpeace International oceans campaigner. The Arctic Sunrise Ship pictured in the Balearic Sea in May 2013. Greenpeace began strategizing how to best affect change in European fishing laws in 2009 – a critical point to begin influencing how the Common Fisheries Policy (CFP) could change upon expiry in 2013, after a decade of enactment. Six months later they split campaigners into two groups: one to support low-impact, artisanal fishers, and the other to tackle large vessels and large-scale fishing tax subsidies. “One is to support the best and one is to eliminate the worst, in a way,” says Celia, who managed the former section of the campaign in Spain and coordinated with another 11 Greenpeace offices across Europe. She began building relationships with fishing communities from port to port about two and a half years ago, which eventually continued in other countries including Greece, Italy, Bulgaria and Denmark. 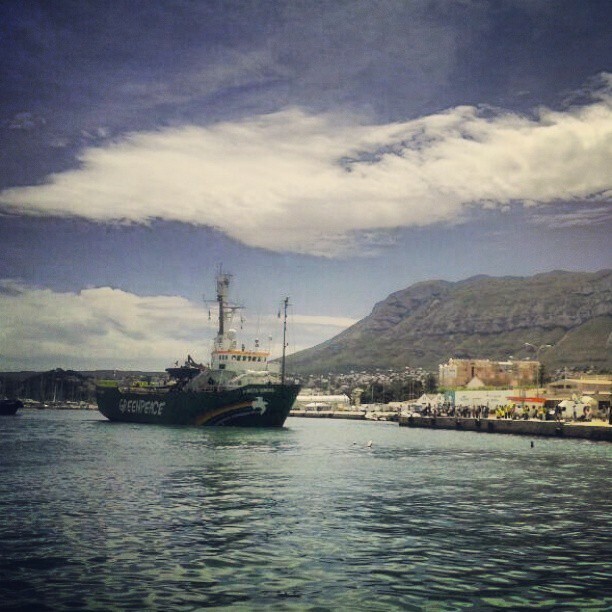 Greenpeace began supporting fishers to exchange digital and snail mail communication with other fishing communities throughout the continent. They wrote each other letters in their own languages and struggled to make sense of Google-translated versions of mail they received. Greenpeace also trained fishers to speak out publicly, with media and politicians, and helped organize meetings with EU decision-makers. 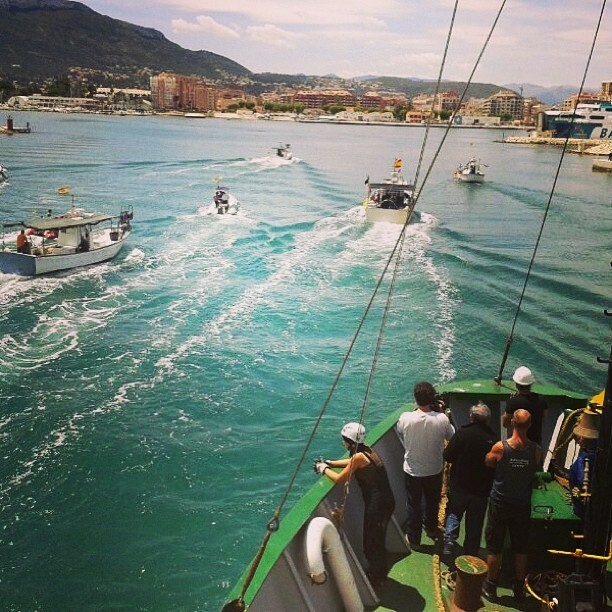 “We were not representing the fishers and not telling them what to say, but accepting that fishers had positions that were different from Greenpeace,” says Araceli, who collaborated on the campaign as part of the Spanish Mobilisation Unit. Araceli is inspired by the efforts and successes she witnessed throughout the fishing campaign. 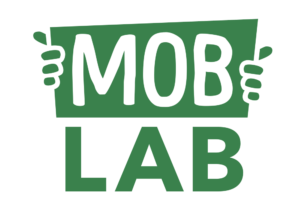 She continues to apply these lessons to her current work on mobilisation efforts with the Volunteering Lab. The success around collaboration also speaks to a novel way in which Greenpeace functioned internally for this campaign. “We don’t have a European office so this is a first time office where we operated intensively and made it a European campaign,” says Nina, who is based in Austria. Greenpeace campaigners implemented a targeted approach that strategically leveraged what was most relevant to achieving goals for reform. This method – as opposed to casting a wide net for mobilisation – helped to facilitate their relationships with fishers and other non-profit organizations, resulting in a diversity of tactics to create momentum in pushing fisheries issues to the public agenda in Europe. “I think it was a matter of trust and respect that was very important, but also the fishermen and us understood that we could profit a lot from each other and whereas alone we would probably not be able to be as successful,” Nina says. 4) Restore the health of our seas in Europe and the rest of the world. As decision day drew closer, Greenpeace launched a four-month ship tour across 10 countries from Romania to England. 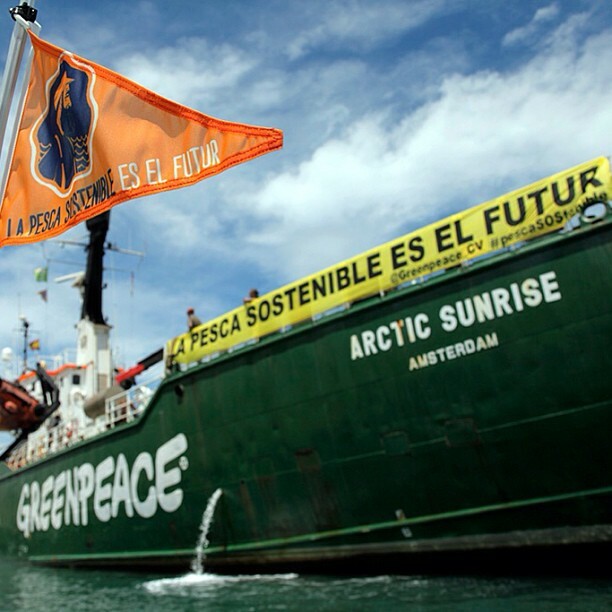 About 120,000 people joined the Arctic Sunrise flotilla tour between mid-March and early June. 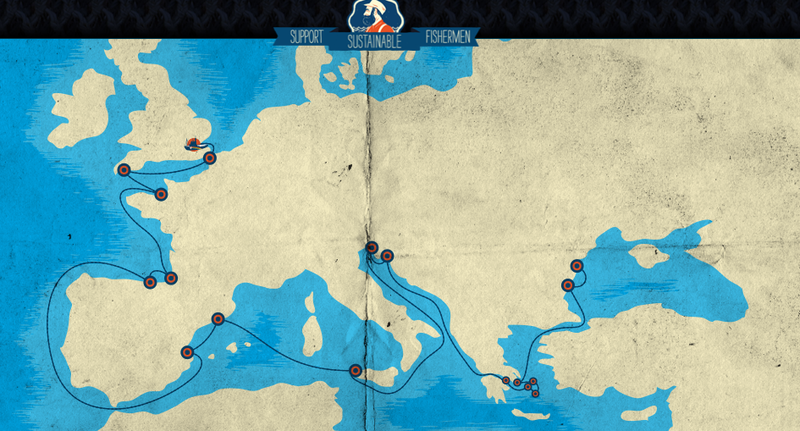 Myboat.gp website depicting the Arctic Sunrise ship route across Europe. Greenpeace International launched an interactive java-based website to go along with the ship tour that allowed users to track the ship route along nearly 20 port stops. Users could also tag tweets and uploaded photos with designated hashtags like #gpboat and #malo that corresponded with a specific port stop – in this case, Saint Malo, France on May 26. These quotes and images are displayed when you click on a port stop. The site also features a counter displaying the number of boats being set to sea throughout the campaign. At 3:30 a.m. on May 30, the European Parliament and Council reached political agreement on the main points of basic regulation of fisheries reform. News reached the Arctic Sunrise as it sailed through France that CFP reform was approved in a largely positive way for oceans, fish stocks and sustainable fishermen. It is the first time that the EU included social and environmental standards in its fishing quotas. Campaigners and fishers celebrated their lofty achievements in CFP reform, but remain cautiously steadfast in their work as some ideas to build newer, larger vessels with more subsidies for industry fishers continue to ripple in the EU. Passengers aboard the Arctic Sunrise look out from the ship to Dénia, Spain. Small-scale fishers are currently planning a second European Artisanal Fishermen’s Congress in Galicia, Spain for the fall. Greenpeace continues to support these efforts, though they are largely directed by the artisanal fishers. Forming authentic relationships with people who are most affected by policies and who can directly benefit from a campaign can be highly rewarding. It may be a slow process, but trust-building in collaboration allows you to accomplish more than you would be able to alone. When working with people directly impacted by policies, it’s important to remember that supporting and empowering them to take the lead can make for a more powerful campaign and a more sustainable approach to addressing the issue long-term. Collaborating with others – including other NGOs – can help create momentum through a diversity of tactics. In this case, it included media, meetings with politicians, collecting signatures for support, the European Artisanal Fishermen’s Congress and the ship tour and more. Mobilising both online and offline helps to build stronger, more collaborative relationships that can be maintained over long distances. Taking a strategically targeted approach, as opposed to mobilising as many people as possible, can lead to more effective mobilization and a more successful outcome.